I have no idea how to pitch my promotional products business to potential customers. There’s so many distributors in the promotional products industry, I don’t know how to set my business above the rest. I know the promotional products industry like the back of my hand, but I can’t condense my pitch. I love the promo industry, but I can’t seem to find the ‘fun’ angle to excite customers. What is the appeal of the B2B industry? There’s no point in trying to be different. Different doesn’t work. Stop thinking you are the only business in the entire promotional products industry to have these concerns and questions. The truth is, most suppliers and distributors in the promotional products industry find it very difficult to pitch their business. Many people think that the B2B industry is boring. They believe that B2B marketing doesn’t need to be ‘fun’ or ‘different’ because, well, you’re talking to other businesses. I hate to break it to all y’all (I really don’t hate it) but you are wrong. And I’m glad you’re wrong. If the B2B industry was boring, complacent, and uninteresting, I would have been long gone by now. To dabble in a bit of philosophy, I am a firm believer that life is your mirror. What you choose to see, believe, or interpret is exactly what you will be handed to you. So, change your thinking now. You have the power to pitch your promotional products business as the hottest commodity on the block, and we sincerely believe in you. 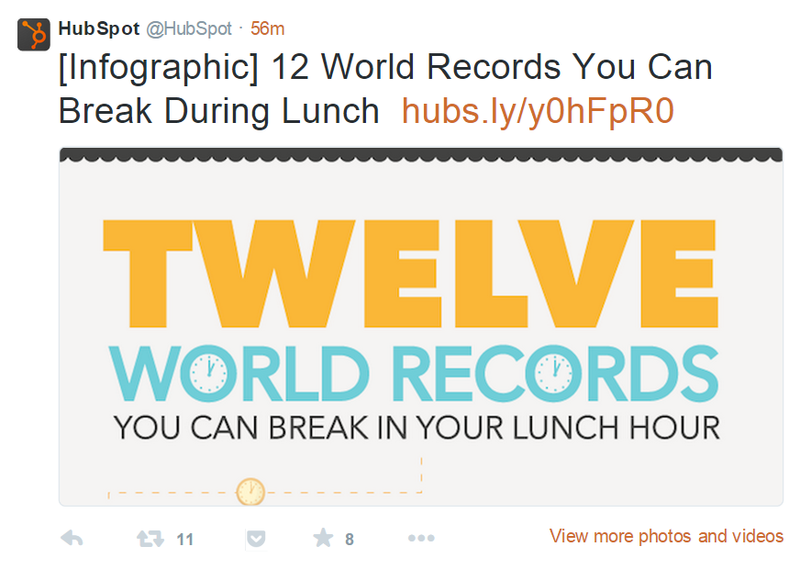 Some of the top B2B companies are seemingly having loads of fun with content marketing… And it’s effective! 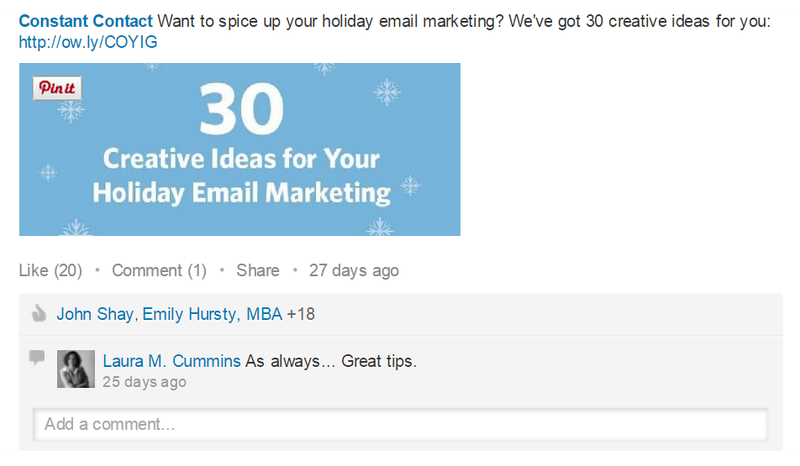 Adobe uses their Pinterest profile to leverage their brand quite successfully. They have created 19 boards of pure genius! From their “Data & Creativity” board to “The Art of Fashion” board, Adobe allows their own imagination to soar while promoting Adobe services and sparking creativity in their customers. You should aim to inspire your customers. Think of the last time you were inspired… You probably felt happy, excited, and energetic all at once. A happy customer makes a happy business. Take the time to inspire your customers with quotes, images, blog posts, and anything else that tickles your fancy. Give your customers ammunition for operating their business successfully. Your customers know this, and they appreciate when you provide them with useful tips they can apply to their business or to their lives. Empower your customers, as Constant Contact does so well, and you will accumulate a database of loyal customers. You don’t have to be serious 100% of the time. Lighten up y’all! This is just business; businesses are made up of people, and people are fallible. Crack a joke, or two. Don’t be afraid to integrate your personality into your business; people want to speak to your employees, not an automated service. The services mentioned above are, in essence, quite dull. But, these companies make people excited about their products by providing online users with a virtual experience, not just a virtual market place. You should feel lucky to be operating a business in the promotional products industry. You are allowing businesses to create a brand around their products or services. 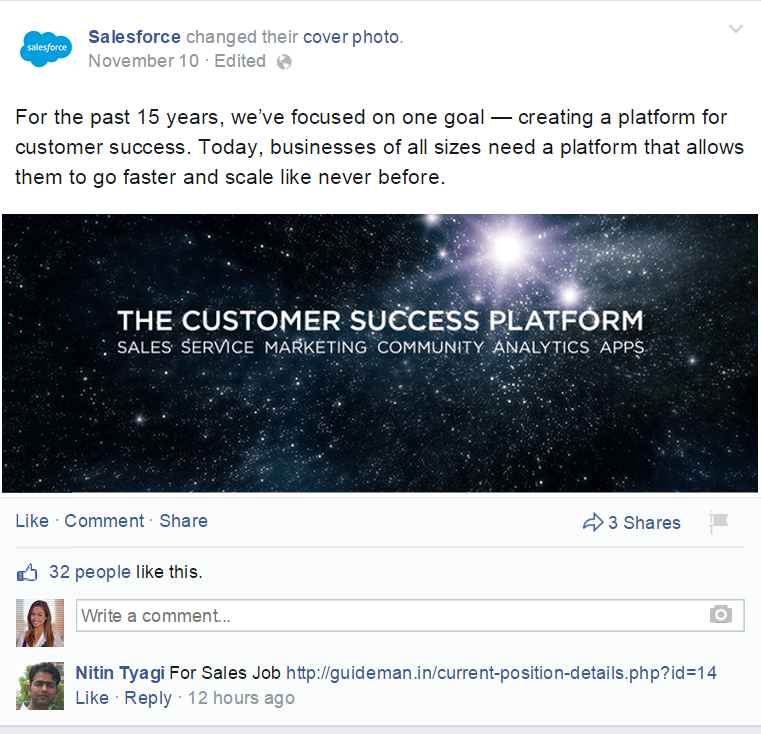 Your customers are just like you; they want people to engage with their company, participate in the overall company culture, and make their customers happy. As a promotional products distributor or supplier, you are building empires. Grab a few sticky notes from your desk and a pencil. 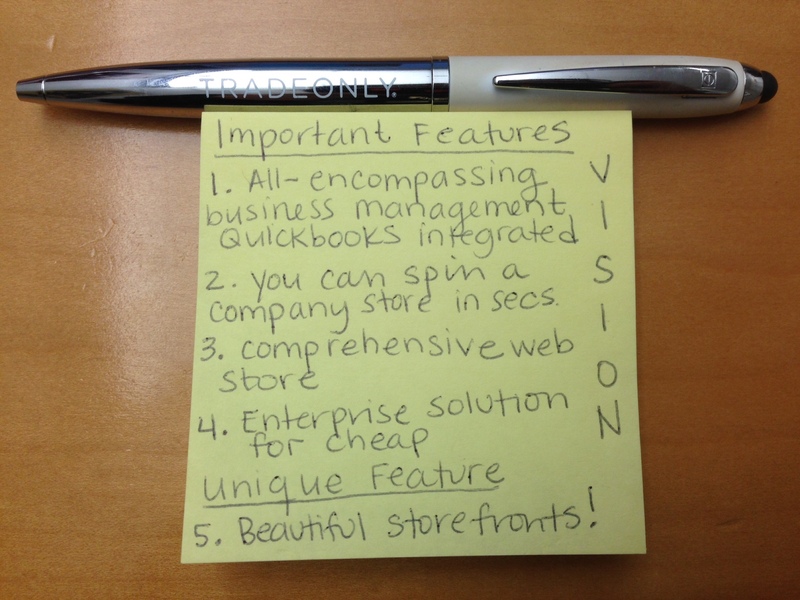 On your first sticky note, bullet point the 4 most important features of your business. Now add one more bullet point stating the most unique quality of your company (this can range from ‘we sell customizable onesies’ to ‘we have a strict company-wide dress code’). Now, put that sticky note to the side and grab the remaining blank sticky note. Creating a pitch is more than what you say, it is how you say it, too. 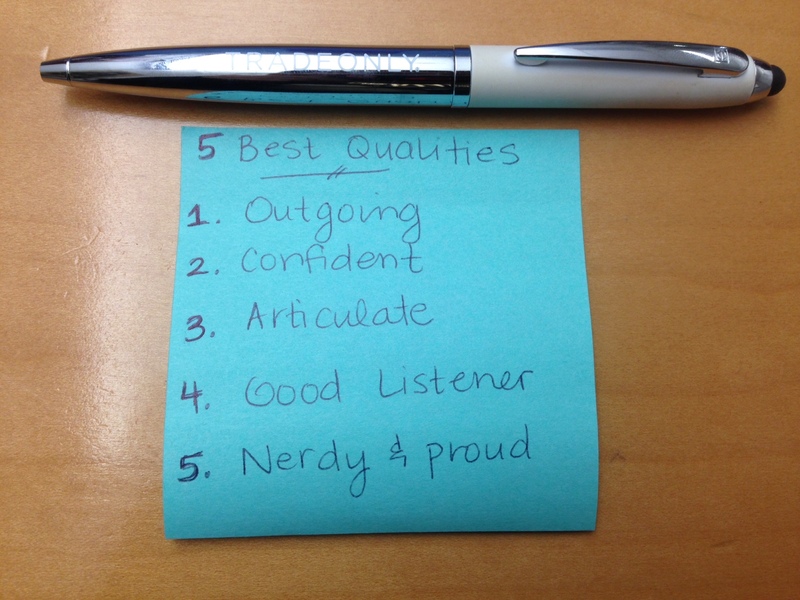 Write down your 5 best qualities. Are you energetic? Are you personable? Are you persistent? Write your favorite qualities down on the sticky note. These 5 qualities you wrote down on your sticky note work hand-in-hand to make you a unique individual. If you’re the CEO, your promo business is founded on these 5 qualities, whether intentional or unintentional. If you are an employee of a promotional products business, you were hired because the company either encompasses a few of these qualities, or they really appreciate these qualities. Utilize your 5 most important company features and 5 best qualities develop your own personal business pitch. In just 2 sentences, I was able to address the 5 key features of Trade Only (which I have highlighted with red font)! Plus, I was able to use those 5 ‘best qualities’ from my second sticky note to integrate a personal tone into an otherwise ‘dry’ pitch. 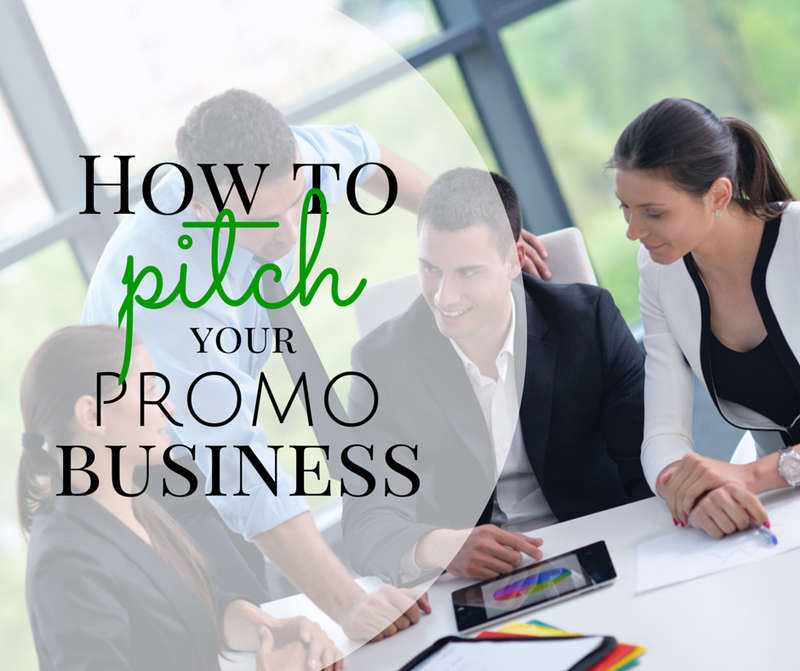 Before you go off to create your own pitch, ask yourself this question: why did you start your promo business in the first place? Ruminate on your answer and find the passion that motivated you to start your business. But, passion also makes business exciting; exciting businesses develop great content, whether you’re B2B or B2C. loving your posts of late. It can be hard to get behind the products in the industry sometimes. I often feel it’s hard to prove an roi on promotional merchandise. I’ve seen some demos on the TO system and I have to say I’m thoroughly impressed. It used to be quite clunky but the latest release has resolved a lot of issues and really make it one on the top systems available.